Dark is a 60 minute scripted supernatural television series, which kicked off on December 1, 2017, on Netflix and is broadcast every Friday at . The show is currently in its 1st season. 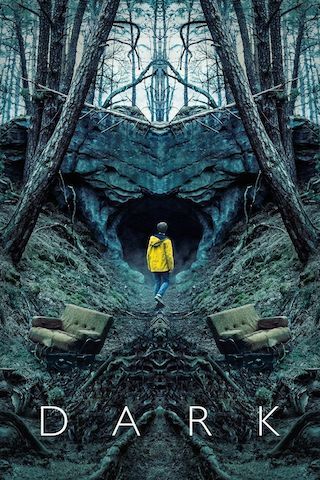 Netflix has officially confirmed the renewal of Dark for Season 2. The exact release date is yet to be announced so far. Sign up to track it down. A family saga with a supernatural twist, Dark set in a German town in present day where the disappearance of two young children exposes the double lives and fractured relationships among four families. In ten, hour-long episodes, the story takes on a supernatural twist that ties back to the same town in 1986. Berlin -- Netflix has renewed its first German original production, DARK, for a second season. Showrunners Baran bo Odar and Jantje Friese about the audience reception and the renewal of season two added: "We are overwhelmed by the response to DARK and are thrilled that our story has been a success with a global audience. Viewers have been captivated by the secrets of our protagonists and have taken delight in unravelling the various puzzles that the story presents. To know that we will now embark on our next journey is, for us showrunners, a dream come true. And our fans can be sure that we have plenty of surprises in store for the second season of DARK." Producer Quirin Berg concludes: "Jantje Friese, Baran Bo Odar, our wonderful actors and our fantastic team have put an incredible amount of energy into making DARK a unique and gripping series. We thank all of those who have accompanied us on this path. And we thank Netflix for their trust and for the excellent cooperation. We are extremely happy that DARK has by now received such an overwhelming response, both in Germany and around the world, and we are particularly thrilled about the quick decision by Netflix to take it into a second season. We can hardly wait to continue telling the story!"